As said last week I would make the Cherry Coconut Smoothie. Instead of frozen cherries, as in the original recipe, I used fresh ones. And as expected it was as good as I thought it would be! 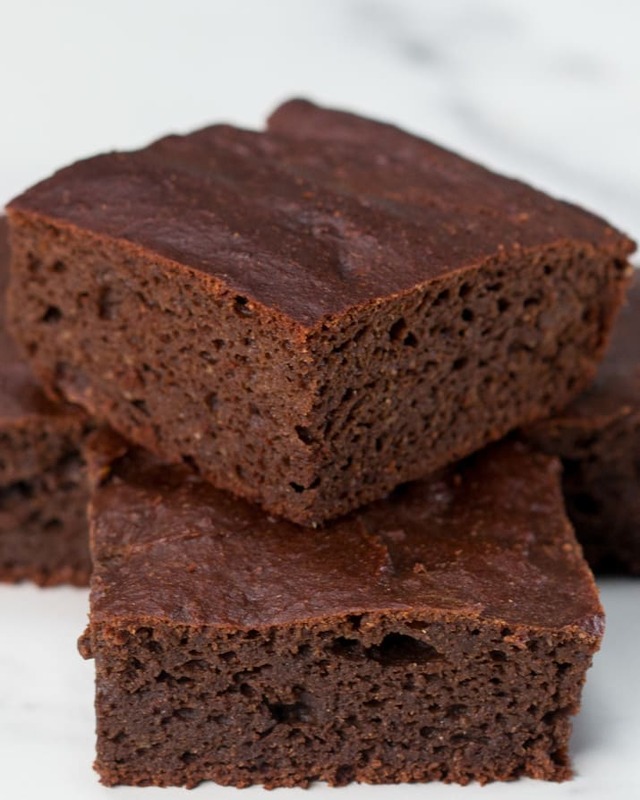 A friend of mine posted these avocado recipes on her FB timeline and just out of curiosity I want to try the brownies. As the taste is just as good as the real deal, than it could be a keeper. Honey instead of sugar and avocado instead of butter. Sounds so healthy! Just wondering what the taste will be like. 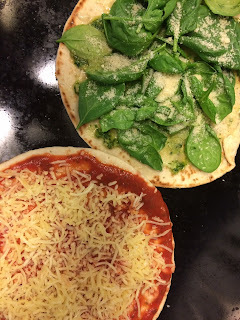 The Flatbread Pizzas I maked last week were featured by The Stitchin' Mommy! That smoothie looks great. Good luck with the brownies! 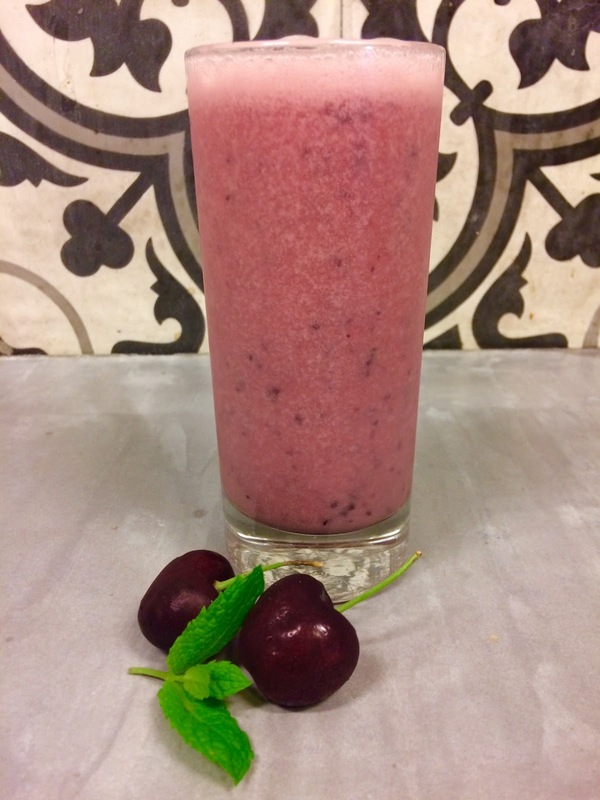 Cherry and coconut - two of my favorites! I had never thought of putting them together. Thank you for posting! Loooove cherries, this looks so good. Oh yum! I bet it was delicious with the fresh cherries!! Thanks for sharing with SYC.